Culture as far as the eye can see! The historic city center of Salzburg is one of the most beautiful spots on earth. Located in Europe, it gained international fame when it was named a UNESCO World Heritage Cultural Site in 1997. 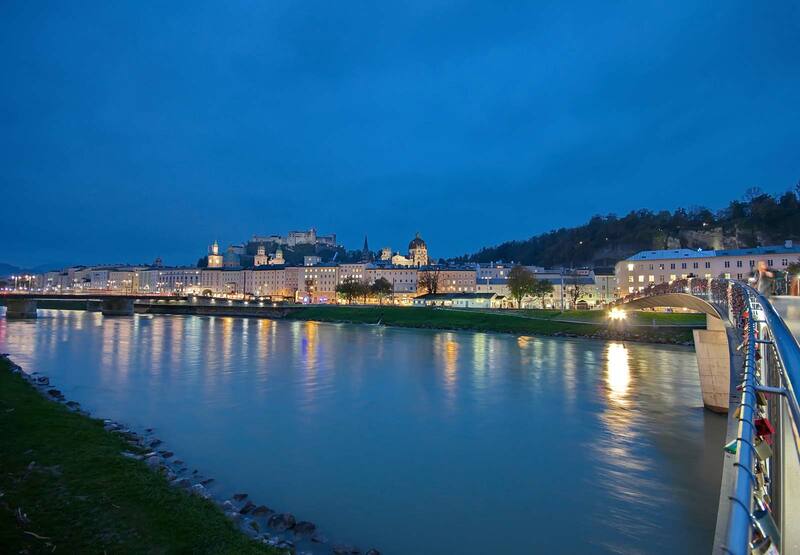 Visible from a distance, the Fortress of Hohensalzburg sits like a crown atop the Mönchberg Mountain, towering over the historic city center of Salzburg and the mighty Kapuzinerberg Mountain on the right bank of the Salzach River. Climbing the Kapuzinerberg is well worth the effort. From there, visitor will enjoy the most beautiful “picture-postcard” views of the old city. Picturesque, narrow streets, inviting squares, imposing buildings: no matter where one is in Salzburg, one feels the city’s particular flair! The Getreidegasse street, the Palace Square and the adjoining Mozart Square, the Monastery of St. Peter, the Horse Fountain, and of course the Festival District with the large Festspiel Theater and the Felsenreitschule Hall are a must for every visitor. Several palaces in Salzburg invite visitors in for a stroll: the Mirabell Palace with its beloved Marble Hall, known world-wide as a wedding venue, and it magnificent gardens; the Hellbrunn Palace with its famous playful water fountains and adjoining zoo; or the Leopoldskron Palace, best-known for its use in the Sound of Music. Culture is right at home in Salzburg: Mozart’s Birthplace; the Museum of Modern Art; the new Cathedral District Museum; the Natural History Museum; several others museums and galleries, including architectural works of art such as Hangar-7 which invite guests in to admire and to discover. The Salzburg Card provides free entrance to all the city’s attractions and free use of public transportation, including virtually all of the busses and local railways in and around Salzburg. The card is available in all Tourist Information Offices and at most hotels. Are you the type who prefers an active vacation? Do you want to take in all the site you can? With the SalzburgerLand Card you are able to visit the most beautiful attractions every day for a fixed price. 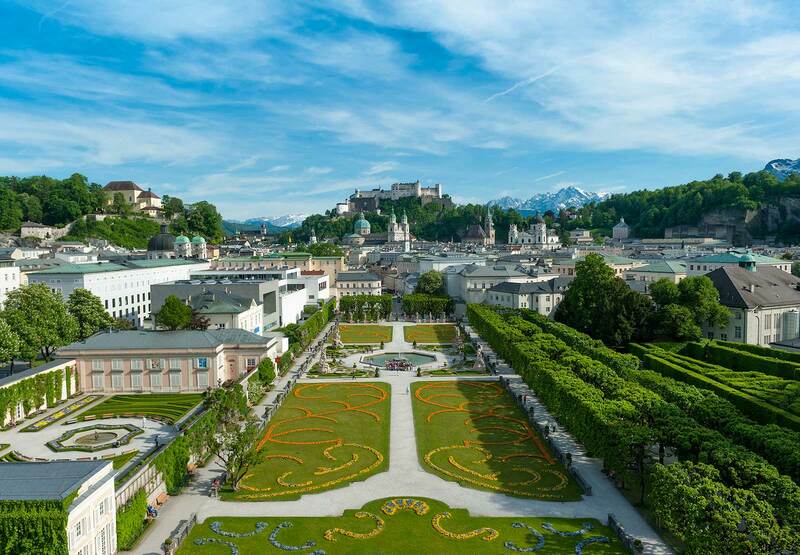 Whether you want to ride the many cable cars and hike through the mountains, cool off in a pool or lake, visit one of the many museums, or if you want to play a round of mini-golf, this pass offers admission to approximately 190 attractions in Salzburg and the surrounding region. Die SalzburgerLand Card is perfect for your six- or twelve-day vacation stay, and is ideal for families and groups. Valid from the May 1 to October 26.